The new year is bringing many exciting challenges. First of all there was the ‘Dogme debate’ at the IHWO DOS conference which was extremely enjoyable. 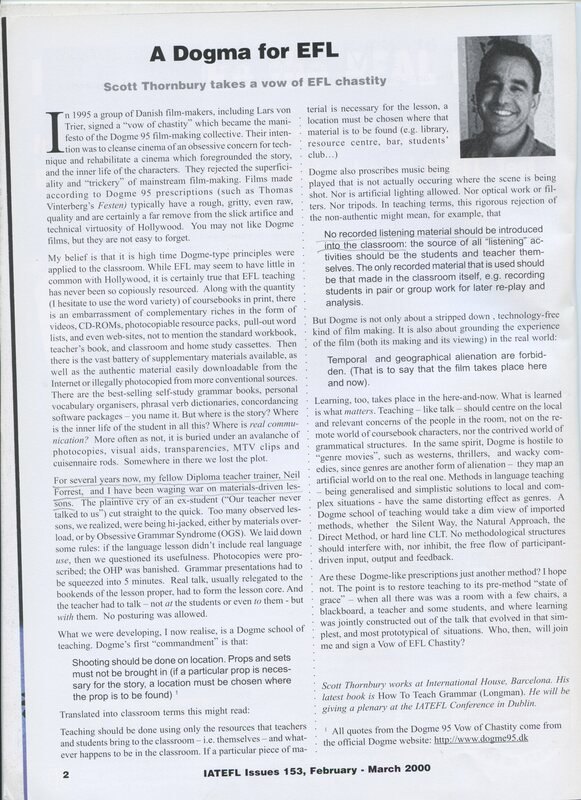 @Luke Meddings gave a wonderful, gentle (but passionate) account of why unplugged teaching (that is working with – and in reaction to – the language that the students bring into the classroom rather than with materials) mattered to him – and why he was so committed to it. This was in reply to my own critique of the book that he and Scott Thornbury have written on the subject. You can read follow-ups and comments about all this from @mcneilmakon here and from @jemjemgardner here. Talks in preparation are about multi-tasking and focus – a development from the enquiring blog I wrote about it. I wanted/want to know how we can ensure our students’ attention – and what they should pay attention to,. The best way to tease out thoughts (perhaps) is to try and put a coherent session together about it, and that’s why I am working on this one. Making new sessions is a great developmental tool. Planning teacher training sessions is, maybe, the best way to learn about/reflect on teaching. I have to re-work and amplify a session on how people can best collaborate and share both within schools and institutions, but also in the wider world. I love the wide world we all swim around in via our PLNs, blogs, conferences, meeting etc, but in the end (I want to argue), the most important communication and collaboration exists within institutions. Talk preparation is nerve-wracking and exhilarating all at the same time; a bit like doing the CELTA teacher training course is for many teachers in training. 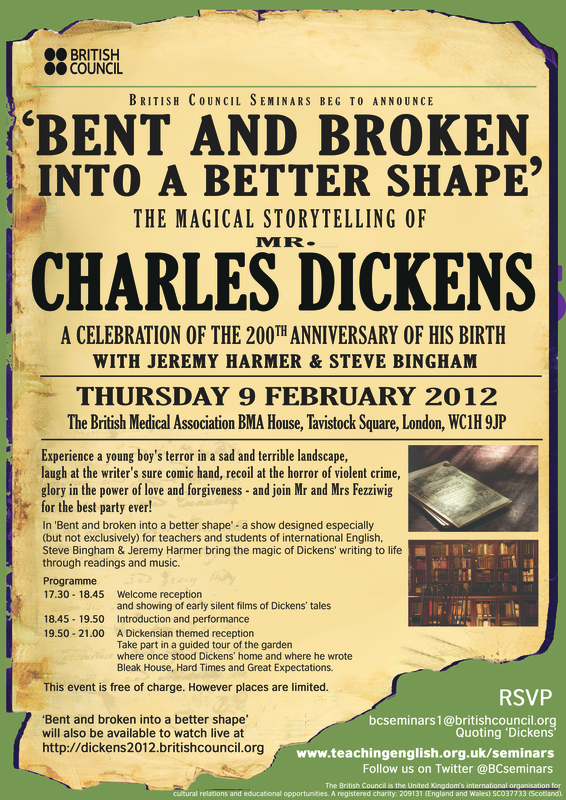 Perhaps the most exciting (and genuinely scaring event coming up) is an evening presentation called ‘Bent and Broken into a better shape’ – a celebration of the life of Charles Dickens, perhaps England’s greatest-ever writer of novels. With musician Steve Bingham I was asked by the British Council to do a show to celebrate his 200th anniversary and so we have been wracking our brains to find a way of conveying his genius in a 60-minute presentation. A lot of wracking going on! How do you convey the sheer ebullience of those 19 novels, countless short stories, fiery polemics – not to mention a whole busy chaotic, involved, complex life. In the end we have gone for 9 short extracts interspersed with comments about the great writer and the contexts in which his novels were written – all (well some) of this will be enlightened by Steve’s extraordinary music. We are doing some tryouts before the event is filmed (and live-streamed) in the great hall of The British Medical Association on Tavistock Square, London on February 9. This is appropriate since Dickens lived on the site for ten years. As you can see from the poster, you can come along and watch/listen, or watch the live stream. We’d love to have you along.The big fear is whether reading from a writer’s works is the right way to celebrate his or her achievements, especially a writer as prodigious as Charles Dickens. And yet what other way is there, in a short time, to convey his amazing character descriptions, his scary and wonderful stories, his ability for comedy, his romanticism and passionate reforming zeal? Answers on a postcard, please. In the meantime, it’s off to conferences in Thailand, Vietnam, Indonesia, Turkey, Dubai etc. Perhaps 2012 should be the year where we/I reconsider the benefit – for participants – of such parachute visits. I wonder. Oh, and there’s a new book. But that’s another matter. What about you? Big challenges for 2012? What would you like to prepare a new talk about in order to have think about it seriously? What new talks are you working on? If you had to present a show about a great writer who would it be and how would you do it? (I remember with amusement and disbelief the first copy of the newspaper we ever bought when looking for somewhere to live years ago; the main headline read ‘woman misses bus- gets caught in downpour’ – we live in exciting times in East Anglia). But back to the driver who took me to the station. He worked as a compositor at the newspaper for more than twenty years (compositor = a person who set and corrected type and assembled text). He was a ‘hot metal’ man when newspapers were produced with metal letters. He did a 7-year apprenticeship with 12-week release courses every year. He was a member of a print union. He had professional knowledge, had acquired a skill, and was a member of a proud trade. But all that is gone. With modern digital printing there is no need for his skills anymore. So he drives a taxi, and the question I ask myself is whether I should mourn the passing of his trade which, as so many others, has disappeared under the weight of modernity. So this post is all about lost trades as the new and present world offers ever more technological replacements for the ways we used to do things. For example, we don’t produce newspapers like we used to, so all that ‘compositing’ knowledge is redundant now. In fact we don’t read newspapers like we used to that much, anymore. I read The Observer in print on Sundays, but my two other ‘newspapers’ (The Guardian and El Pais) I read as iPhone Apps or on my iPad. And my link earlier on in this post is to the Cambridge Evening News website, surely a much more common way for people to access local news than the paper itself. So what I can’t help wondering is whether I should be happy about that new way of reading, or nostalgic about blackened fingers, the pleasure of folding pages, those newspaper vendor conversations and the armchair sprawl. In fact I can’t help wondering what ‘old’ technology (and ideas) I should keep and what ‘new’ technology (and ideas) I should embrace. How should I face new technology? With enthusiasm or disdain? I wonder, sometimes, whether angry reactions against technology aren’t character- rather than reason-driven, motivated by some idea of pre-lapsarian grace. Throw away your technology! Be pure! Teach (for example) like we used to, just the teacher and the student dialoguing together, and eschew the computer in the corner. But that’s a bit like dogme film-making without tricks in the world of Avatar (with all the positive and negative connotations that comparison brings with it). And yet the ways we did things back then were full of wisdom and good practice. 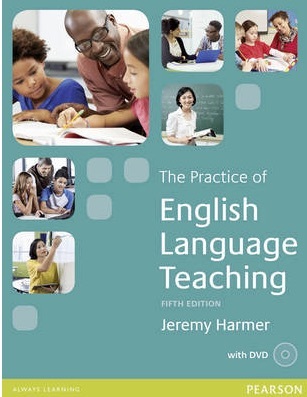 What motivated teachers then, for example, (in a pedagogic sense) makes as much sense today and tomorrow as it ever did – I mean truths like learner-centredness, the value of rapport, the importance of teacher ‘presence’ (discussed recently in ‘An A-Z of ELT’). But that doesn’t mean we have to be stuck in those times, does it? Does it? And what of presenting? The lecture is still around, of course, and the big conferences. But there are workshops now, conferences in Second Life, Second life interviews (I can’t resist this link! ), video-ed talks online, the ubiquity of powerpoint and the thrill of Pecha Kucha. So I guess my question to you is this: as teachers, trainers and presenters what do you think we should keep from before, and what do you think we should embrace from the exciting world that confronts us? How, as teachers and methodologists, can we pay appropriate respect to what was done before whilst at the same time being open to the future? b) What one piece of IT hardware/software would you want everyone to own?